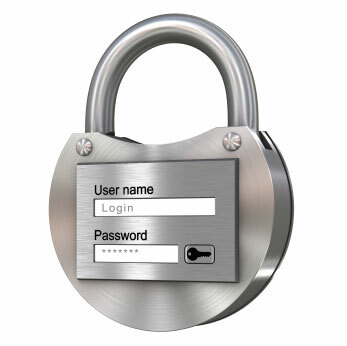 Did you know that the average password length today is 6-7 symbols? Also, did you know that unless a website or a program requires the user to type a strong password (that is, a combination of letters and numbers), passwords tend to be very simple? Of course, simple doesn’t mean bad. After all, it is hard to memorize something like Gbh4%s$Jd, especially if you have more than one password. But a simple password is weak, which means it can be hacked or brute-forced easily. So we have a dilemma here: you can either use simple yet weak passwords, or strong “hell-what-was-that” ones that only geeks can memorize easily. And here where password organizers come on the stage. This special type of software was designed exactly to resolve both issues. Instead of memorizing password to multiple online chats, forums, e-shops, e-mail or social network accounts you only need to keep one master password in your mind. 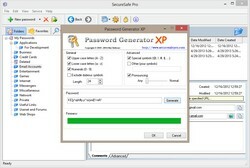 All the rest ones are encrypted and stored by the program safely. And since you don’t have to type passwords manually or even to memorize them anymore, they can be of virtually any complexity now. 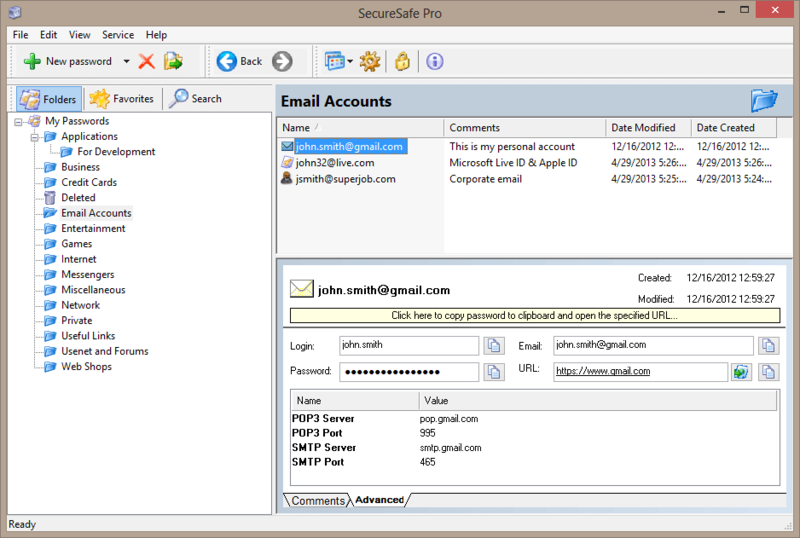 SecureSafe Pro, a password organizer application, keeps all your passwords in a protected storage easily accessible with few clicks – well, after you type your master password, of course. Managing and organizing passwords is extremely easy then. 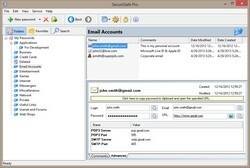 By default, the program offers a number of categories, like e-mail accounts, websites, shops etc. to save password to and a quick option to copy any given password to the clipboard. 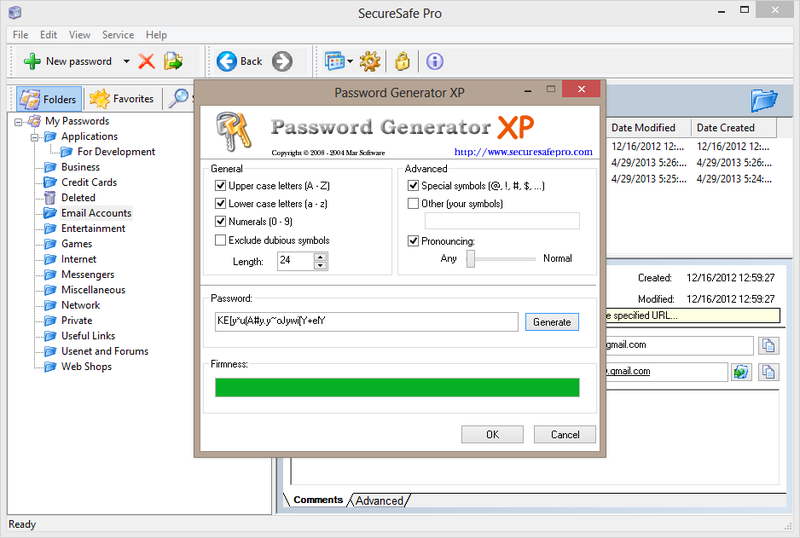 Therefore, whenever you need to login to a program, service or any other kind of password protected area, you simply bring up SecureSafe Pro using its icon, login to it with your master password, copy the desired password to the clipboard and paste it to the password box. The whole process takes no more than few seconds and is much more convenient comparing with the old-fashion memorizing and typing by hand. Managing passwords is fine, but the real question you should ask is: is my private information safe? The short answer is: yes. With SecureSafe Pro passwords, credit card numbers, files, photos and videos are protected with AES-256 encryption technology which is proven to be unhackable by a brute-force attack within billions of years! Such incredible hack-proof capability made this algorithm a de-facto standard for military and governmental usage. Entrusting your data to this password organizer is like locking them in Fort Knox! Full price. One time charge: lifetime license. No annual fees. 30-day money back guarantee.